Harbucks coffee plans to move into South Park and drive Tweek coffee shop out of business. Mr. Garrison assigns a report on current events to help him keep his job. The boys are planning on doing their report on the underpants gnomes. 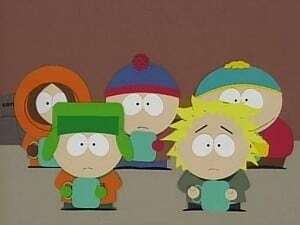 Tweek’s father schemes to use the boy’s report as a platform for fighting Harbucks. The report the boys deliver sparks the town into taking action.